Add a tablespoon of vinegar to the boiling water to retain the color of the vegetables you are boiling. Great tip - I didn't know this! 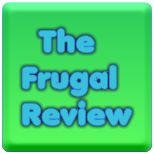 I'm following you from the Almost Friday bloghop at Family Friendly Frugality. Happy Thursday! Hi, I'm a new follower from the It's almost Friday blog hop. Thanks for the tip; I did not know this! Please check out my site when you get a chance. Thanks.